Dinner at Au Petit Salut in Singpaore. 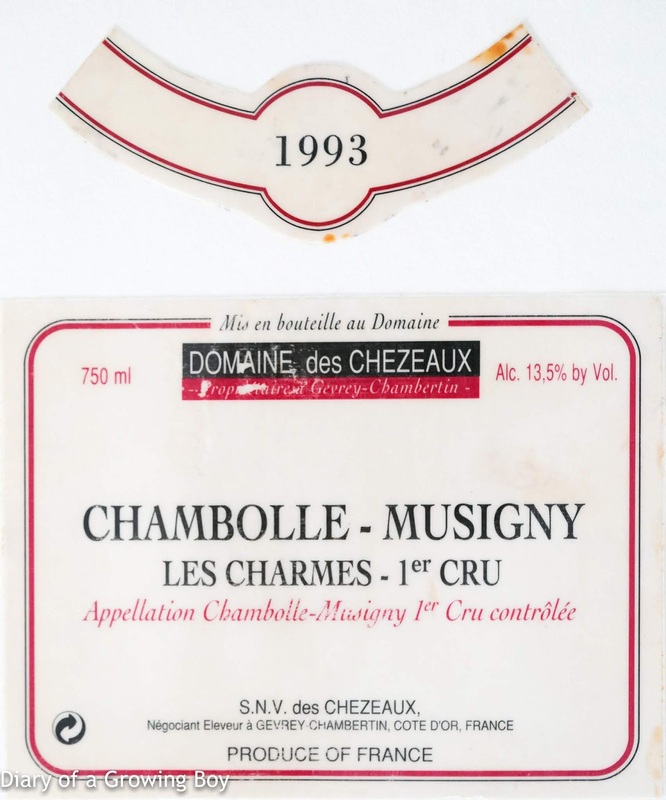 1993 des Chezeaux Chambolle-Musigny 1er Cru Les Charmes - this was pretty good. 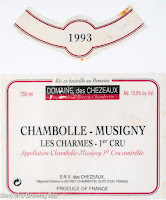 Need a good hour to open up to compensate for the acidity, but the nose was sweet. Medium palate. Bought from Vinum for SGD 95.